I am obsessed with this oversized faux-shearling moto jacket by UNIF! 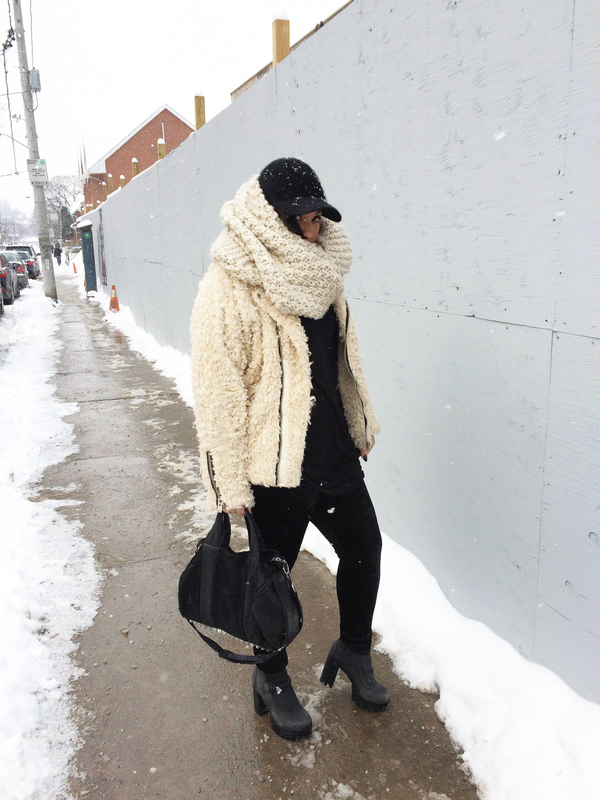 I love the relaxed fit because it is the perfect layering piece to stay warm AND stay fly in. The stark contrast between the black detail and soft cream faux-shearling highlights the motorcycle cut of the jacket perfectly. 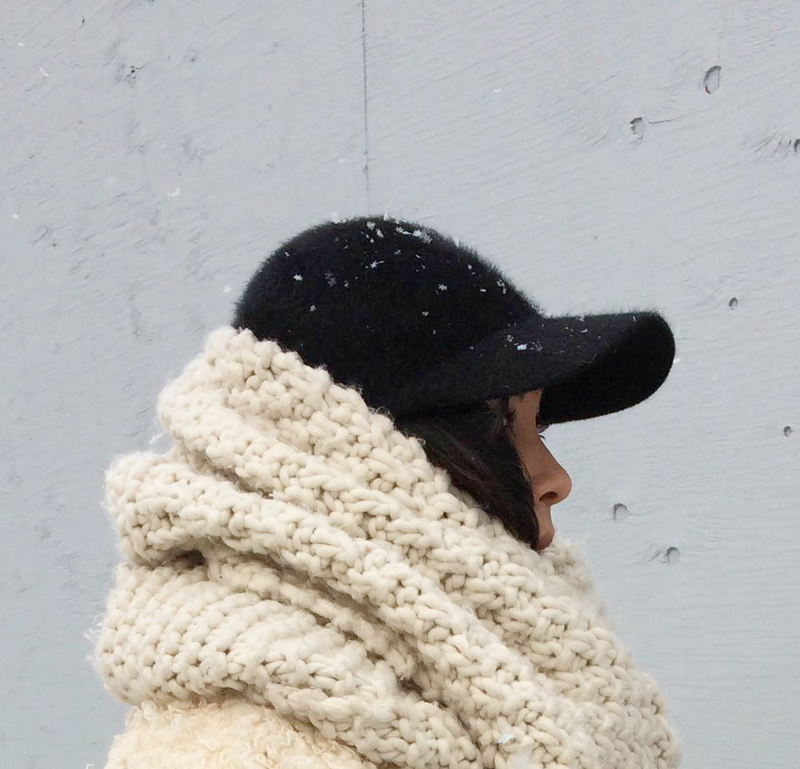 I paired it with an all-black look and my go-to chunky knit scarf to keep with the cream theme. In an outfit like this that is short of vibrancy by way of colour, it's fun to play around with texture. The pony hair handbag, crushed velvet leggings, angora cap, and faux shearling jacket make what could be an inherently yawn worthy colour combo, fun and interesting!